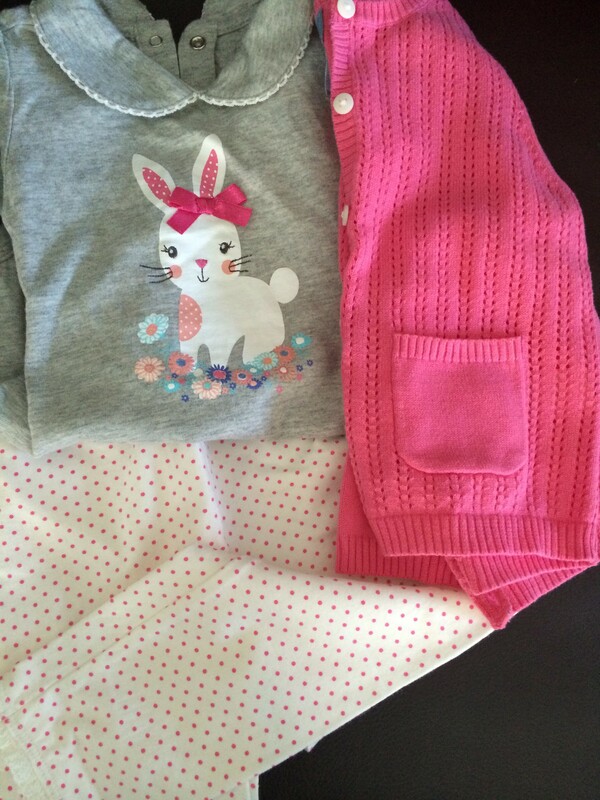 Now with another first behind us (Easter Sunday) we gear up for the biggest of all firsts. Little Miss’ first birthday. But before we get to that, one of the biggest lessons I have learned this year is that as much as all of these firsts are important to us (my husband and I) they are also important to so many others. 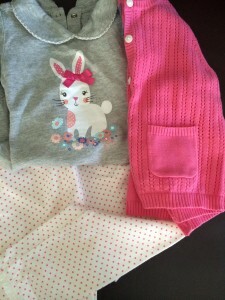 Her grandparents, uncles, aunts and close friends all take part in each of these special days whether they are in the room with us or celebrating from afar via FaceTime. We are lucky to soon be able to have many of these people together for a weekend-a late Easter celebration, an early birthday celebration- a time to have many of our favourite people in one room celebrating love and family. No Easter Sunday is complete without attending the Αγάπη Service at church where we lit her first Easter candle also known as the lambatha (thank you Nouna and Nouno). 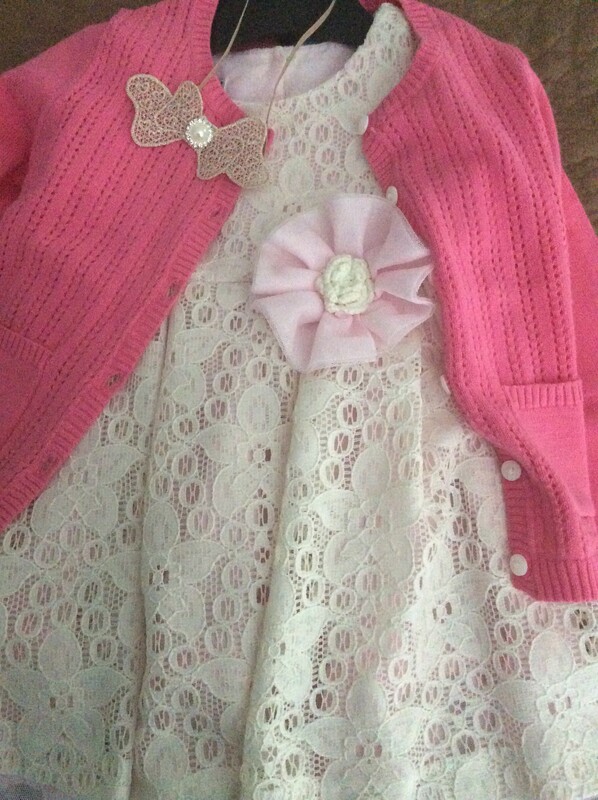 And since it was a first a wardrobe change was in order for the yummy Easter meal γιαγιά prepared. Wishing all of my Orthodox friends a Καλό Πάσχα! 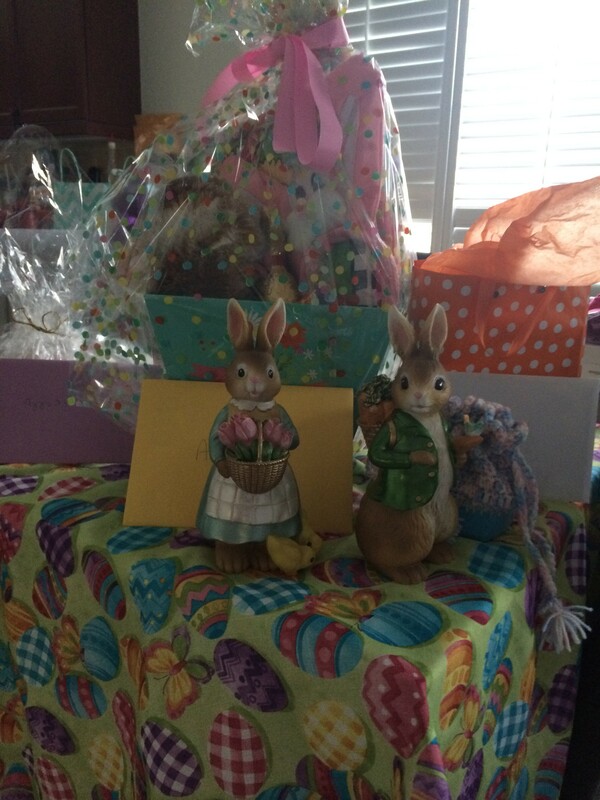 From our home to yours wishing each and everyone of you a wonderful day. May you be surrounded by love, light and laughter! 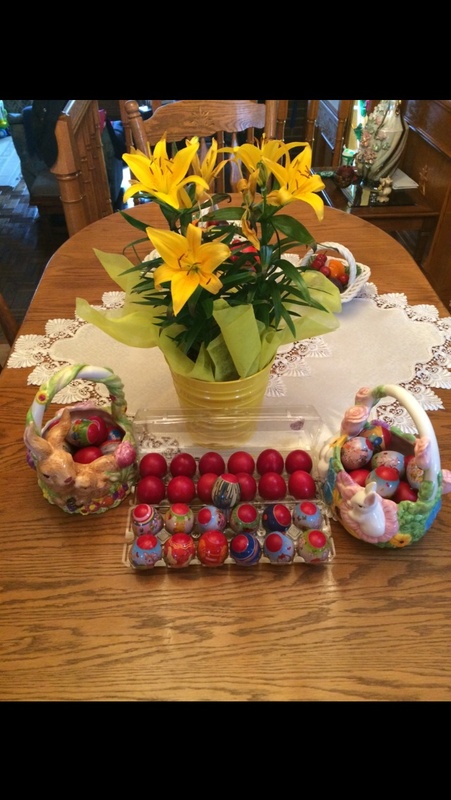 As a member of the Greek Orthodox Church, there are some years that we celebrate Easter on the same day as the Catholics and there are years that they are different. This year is one of those years that they are different, but luckily only a week apart. Orthodox Easter is always celebrated the Sunday after Passover. This year as all of our non Orthodox friends were out on their Eater egg hunts and family luncheons, we were in church for Palm Sunday. We were preparing ourselves for the biggest week in the Orthodox Church, Holy Week. We have been (or should have been) preparing for 40 days prior to Easter with a fast that will prepare both our body and mind to welcome the Ανάσταση του Χριστού or Jesus’ Resurrection. 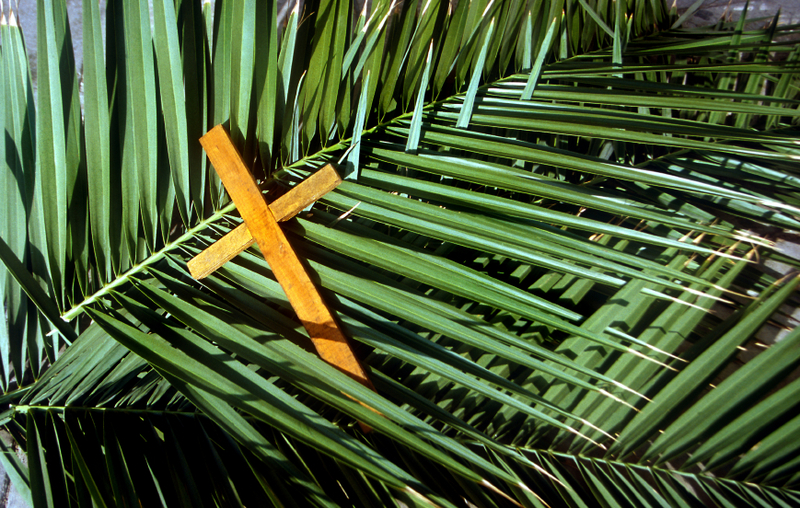 Growing up I remember when we were in the older classes of Sunday School we were allowed the week prior to Palm Sunday to help turn the palms into crosses. 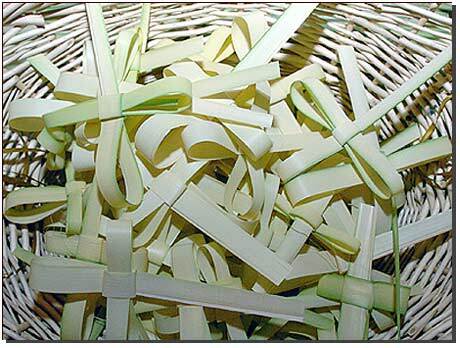 When I arrived to Canada and went to my first Palm Sunday Mass we received palms as I had seen in the icons of Jesus. Now one wasn’t more right than the other it was just an observation for something that is very symbolic in our church. Yesterday we took little Miss to mass. Yes we went later as with an 11 month old you can’t expect her to stay still for a 3+ hour service. We stood in the back and I was amazed at the number of children that were there. Yes there were some familiar faces: Penelope, Polyzois and Ioannis but there were also so many new faces. Where are all of these families? Why do they only come out twice a year? What can we do as an Orthodox community to encourage these families to come out more? These are questions to ponder but if you have any ideas please shoot them my way! Little Miss had one fit during the service and it was at the end as we were lined up to receive the palms. There wasn’t much order and she was overwhelmed but the amount of people around her (that plus no nap equals a meltdown ready to happen). To the woman who gave me a nasty look as my daughter was yelling so loud that my husband heard her in the back of the church, I apologize. I’m sorry for your actions. I’m not sorry that she yelled, but that you couldn’t show some compassion to another woman who was trying to do the best she could in the situation that she was in. Since it is Holy Week I won’t go into a rant over it but you wonder why people don’t go to our church…this could be one of them. May you find peace this Holy Week so that you can continue to be an upstanding ambassador for our church. 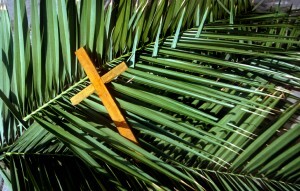 Palms in the shape of a cross that I would receive in my hometown church in the US. 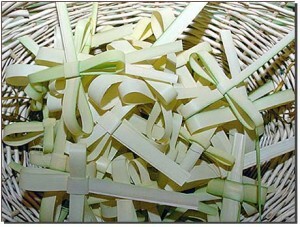 The more traditional palms that I received at church on Sunday.